Foothills Animal Hospital provides expert and friendly care for your pet. Services offered include vaccinations, puppy school and microchipping as well as surgery, blood tests/xray and specialist services. The hospital also has Perth’s first outdoor consulting area (great for nervous or rescue dogs) and is an accredited cat friendly clinic so feline friends aren’t forgotten. Cats are welcomed to their own waiting area and consulting room. Foothills Animal Hospital will now be heading to Boddington and Dwellingup each fortnight to visit the local animals and their owners. 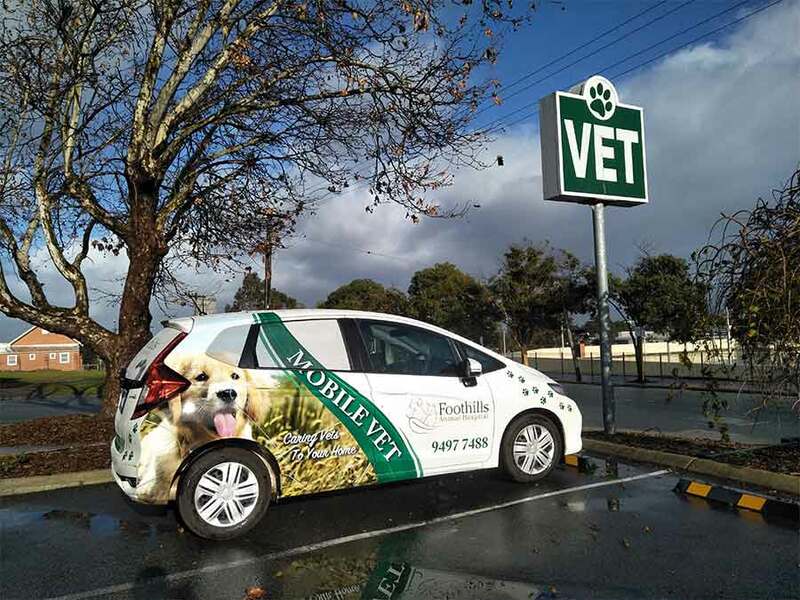 Dr Nicole and Dr Jonathan, along with the trusty Foothills mobile vehicle ‘Jazz’, will be providing veterinary treatment and services to any clients interested. A large number of our loyal clients make the long journey to ensure their pets are in the best hands, which is why we are so excited to announce our new service, currently, at no extra cost. So if you or anyone you know live in Boddington or the surrounding areas, please get in touch today to book a home visit appointment with Foothills on 9497 7488.